due to territorial constraints and also different releases dates in each country you currently can`t purchase this album. We are updating our release dates twice a week. So, please feel free to check from time-to-time, if the album is available for your country. We suggest, that you bookmark the album and use our Short List function. Thank you for your understanding and patience. Life has been a whirl for Girlpool since the release of their acclaimed 2015 debut Before the World Was Big. Shortly before the record came out, Harmony Tividad and Cleo Tucker relocated from their hometown of Los Angeles all the way across the country to Philadelphia, where they quickly became embedded in the local D.I.Y. scene. Girlpool made their mark with a spare, simple sound — two guitars and two voices, with absolutely nothing else accompanying them. It was an original, intimate sound, and it made the two sound like they were united against the rest of the world. But on their new album, Powerplant, they’re trying something else. They’re playing with a full band. Over 10 days in August 2016, Girlpool holed up at Los Angeles’ comp-ny studios to record and mix Powerplant with Drew Fischer. For the first time, Harmony and Cleo were joined by a third performer, drummer Miles Wintner, a friend who easily meshed with the tightknit duo. The 12 tracks that compose Powerplant grow and burn with greater fire than the duo have possessed heretofore. Both bandmates were heavily inspired by Elliott Smith, the Cranberries, the Cocteau Twins, Brian Eno, Arthur Russell, and Graham Nash; the influence of each appear in the record’s deliberate and intricate guitar work (“Fast Dust,” “She Goes By”) as well as its embrace of dissonant noise (“Corner Store,” “Soup”). Perhaps what really makes Powerplant a home run is that Girlpool understand exactly how to use their incisive lyrics, soft textures, hushed harmonies, and soaring hooks for maximum emotional impact. In these moments, when Harmony and Cleo’s voices join together to deliver transcendent transmissions straight from their hearts, Girlpool become a league of their own. Originally formed in 2013 in Los Angeles, California, Girlpool is an American folk punk band that is currently signed to Wichita Recordings. The band consists of members Cleo Tucker (vocals, guitar), and Harmony Tividad (vocals, bass), who come together to create a very unique musical sound. They tour and perform all over the country, and have built up a lot of steam in the folk punk world. 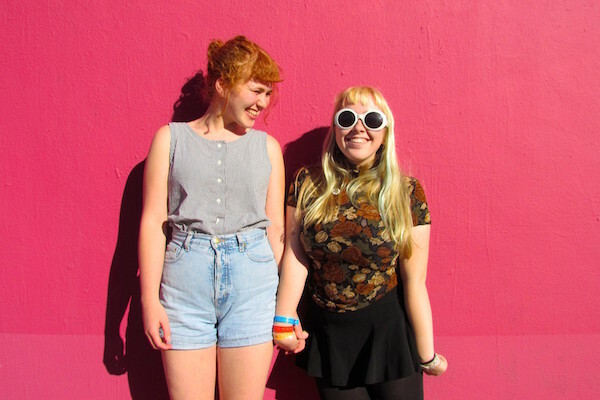 Girlpool has cultivated a large group of very loyal fans and followers including over 25 thousand likes on their Facebook page, over 11 thousand followers on their Twitter account, and their music videos have pulled in hundreds of thousands of views online, including their video for the song “Chinatown” which has individually racked up over 200 thousand views on YouTube. In January of 2016 it was announced that they were one of the acts chosen to perform at the very popular and massive music festival Coachella 2016 in Southern California. Since first breaking out on to the music scene in 2013, Girlpool has released 1 full length studio album, 1 extended play, and 1 single, which have gained much support amongst fans and critics alike. They have received rave reviews on music sites and social media outlets, which has bolstered their fan support tenfold. They are rising stars in the industry, and are on the pathway to breaking out in a major way. Girlpool is becoming a force to be reckoned with in the folk punk world, as their popularity and fan base continue to rapidly grow exponentially larger by the day. 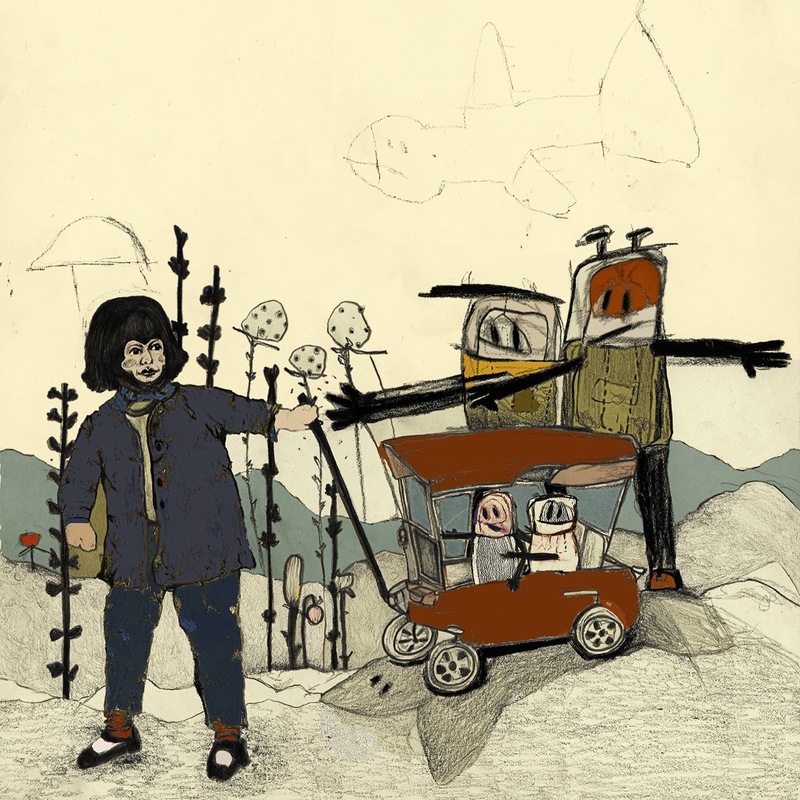 It seems that the sky is the limit for the fast growing careers of the members of Girlpool, as they have catapulted themselves in to the music spotlight. They are a group to watch out for in the very near future. This album contains no booklet. HighRes-Studio Master files are lossless at various sample rates from 44.1 kHz up to 384 kHz or 1-bit (2.8224 MHz) for DSD. Widely compatible with Network Streaming players and D/A Converter's (DAC). Supported by Windows with software player from Media Monkey, JRiver, JPLAY). Supported by Apple OS with software player from Amarra, Audirvana, PureMusic, Songbird. Supported by Apple OS with software player from Amarra, Audirvana, PureMusic). Note: ALAC only supports up to 96 kHz! High-End Network-Streaming players and few D/A Converter's (DAC). Supported by Windows with software player from JRiver, KORG MediaGate. Supported by Apple OS with software player from Audirvana, PureMusic, JRiver. An MQA file is backward compatible so will play on any device. If you play MQA on a certified product, with an MQA decoder, the file will playback the original studio-master file. MQA (Green light) indicates the sound is identical to that of the original source material. MQA Studio (Blue light) indicates the sound is identical to that of the original source material and has either been approved in the studio by the artist/producer or has been verified by the copyright owner.